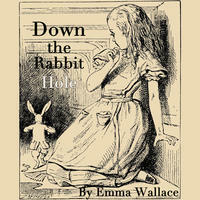 Emma Wallace : Down the Rabbit Hole. Travel down the rabbit hole for a steampunk-inspired musical wonderland. Enjoy a bit of temptation, a spot of tea and impossible things with a healthy dose of madness. Ragtime piano and warm female vocals create a whimsical mood perfect for stirring Earl Grey and stirring your imagination. Anyone with a love of quirky piano pop and optimistic lyrics will adore this trip down the rabbit hole. Listen to: Sports football betting appthe entire album.